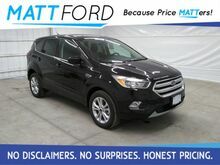 PANORAMIC VISTA ROOF, FORD SAFE/SMART PLUS PKG, U9J04,LANE KEEPING SYSTEM, ADAPT CRUISE/COLLISION WARNING,BLIND SPOT INFO SYSTEM, 2.0L ECOB CLASS II TRAILER TOW PACKAGE,4DW REGIONAL EXTRA VALUE PACKAGE, 16'' BRT MACH ALUM LUS NIC PTD,6-SPD AUTO TRANS W/SLCTSHFT, 235/45R19 A/S BSW TIRESBACK-UP CAMERA, 4X4, LEATHER, HEATED FRONT SEATS, HEATED STEERING WHEEL, NAVIGATION, BLUETOOTH, MP3 Player, BLIND SPOT MONITORING, KEYLESS ENTRY, 27 MPG Highway, HID HEADLIGHTS, SAT RADIO, TURBOCHARGED, POWER LIFTGATE, ALLOY WHEELS. All prices after rebates. Some rebates require Ford Credit financing. Residency restrictions apply. Not all customers will qualify for Ford Credit financing. Prices subject to change. Please verify current price with the dealer. Price does not include tax, $199 Administration Fee or any other state or local fees. 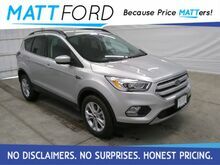 1.5L ECOBOOST ENGINE, 6-SPD AUTO TRANS W/SLCTSFHT,235/55R17 A/S BSW TIRES, FRONT LICENSE PLATE BRACKET,17'' SPARKLE SILVER PTD ALUM WHLSBACK-UP CAMERA, LEATHER, HEATED FRONT SEATS, BLUETOOTH, REAR PARKING AID, MP3 Player, KEYLESS ENTRY, 30 MPG Highway, SAT RADIO, TURBOCHARGED, POWER LIFTGATE, ALLOY WHEELS. All prices after rebates. Some rebates require Ford Credit financing. Residency restrictions apply. Not all customers will qualify for Ford Credit financing. Prices subject to change. Please verify current price with the dealer. Price does not include tax, $199 Administration Fee or any other state or local fees. 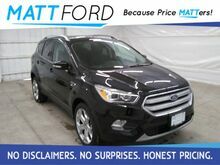 BACK-UP CAMERA, LEATHER, HEATED FRONT SEATS, BLUETOOTH, REAR PARKING AID, MP3 Player, KEYLESS ENTRY, 30 MPG Highway, SAT RADIO, TURBOCHARGED, POWER LIFTGATE, ALLOY WHEELS. All prices after rebates. Some rebates require Ford Credit financing. Residency restrictions apply. Not all customers will qualify for Ford Credit financing. Prices subject to change. Please verify current price with the dealer. Price does not include tax, $199 Administration Fee or any other state or local fees. 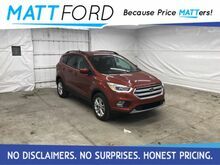 1.5L ECOBOOST ENGINE, 6-SPD AUTO TRANS W/SLCTSHFT,FRONT LICENSE PLATE BRACKET, 17'' SPARKLE SLVER PTD ALUM WHLS,235/55R17 A/S BSW TIRES, U0H01BACK-UP CAMERA, LEATHER, HEATED FRONT SEATS, BLUETOOTH, REAR PARKING AID, MP3 Player, KEYLESS ENTRY, 30 MPG Highway, SAT RADIO, TURBOCHARGED, POWER LIFTGATE, ALLOY WHEELS. All prices after rebates. Some rebates require Ford Credit financing. Residency restrictions apply. Not all customers will qualify for Ford Credit financing. Prices subject to change. Please verify current price with the dealer. Price does not include tax, $199 Administration Fee or any other state or local fees. 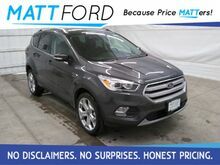 PANORAMIC VISTA ROOF, 18'' SPARKLE SILVER PTD ALUM WHLS,4DW REGIONAL EXTRA VALUE PKG, SUN AND STYLE PACKAGE, 1.5L ECOBOOST ENG,6-SPD AUTO TRANS W/ SLCTSHFT, 235/50R18 A/S BSW TIRESBACK-UP CAMERA, 4X4, LEATHER, HEATED FRONT SEATS, BLUETOOTH, REAR PARKING AID, MP3 Player, KEYLESS ENTRY, 28 MPG Highway, SAT RADIO, TURBOCHARGED, POWER LIFTGATE, ALLOY WHEELS. All prices after rebates. Some rebates require Ford Credit financing. Residency restrictions apply. Not all customers will qualify for Ford Credit financing. Prices subject to change. Please verify current price with the dealer. Price does not include tax, $199 Administration Fee or any other state or local fees. 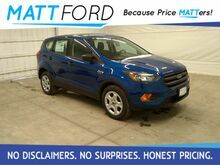 BACK-UP CAMERA, 4X4, HEATED FRONT SEATS, BLUETOOTH, MP3 Player, KEYLESS ENTRY, 28 MPG Highway, SAT RADIO, TURBOCHARGED, ALLOY WHEELS. All prices after rebates. Some rebates require Ford Credit financing. Residency restrictions apply. Not all customers will qualify for Ford Credit financing. Prices subject to change. Please verify current price with the dealer. Price does not include tax, $199 Administration Fee or any other state or local fees. 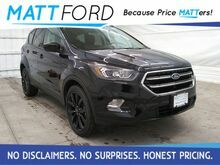 4WD REGIONAL EXTRA VALUE PKG, 17'' SPARKLE SLVER PTD ALUM WHLS,1.5L ECOBOOST ENGINE, 6-SPD AUTO TRANS W/SLCTSHFT,235/55R17 LRR A/S BSW TIRESBACK-UP CAMERA, 4X4, HEATED FRONT SEATS, BLUETOOTH, MP3 Player, KEYLESS ENTRY, 28 MPG Highway, SAT RADIO, TURBOCHARGED, ALLOY WHEELS. All prices after rebates. Some rebates require Ford Credit financing. Residency restrictions apply. Not all customers will qualify for Ford Credit financing. Prices subject to change. Please verify current price with the dealer. Price does not include tax, $199 Administration Fee or any other state or local fees. 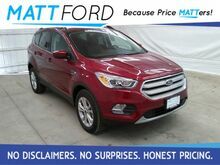 BACK-UP CAMERA, 4X4, LEATHER, HEATED FRONT SEATS, BLUETOOTH, REAR PARKING AID, MP3 Player, KEYLESS ENTRY, 28 MPG Highway, SAT RADIO, TURBOCHARGED, POWER LIFTGATE, ALLOY WHEELS. All prices after rebates. Some rebates require Ford Credit financing. Residency restrictions apply. Not all customers will qualify for Ford Credit financing. Prices subject to change. Please verify current price with the dealer. Price does not include tax, $199 Administration Fee or any other state or local fees. BACK-UP CAMERA, BLUETOOTH, MP3 Player, KEYLESS ENTRY, 29 MPG Highway, . All prices after rebates. Some rebates require Ford Credit financing. Residency restrictions apply. Not all customers will qualify for Ford Credit financing. Prices subject to change. Please verify current price with the dealer. Price does not include tax, $199 Administration Fee or any other state or local fees. FLEX FUEL ETHANOL, FRONT LICENSE PLATE BRACKET,,17'' STEEL WHHLS W/PNTD COVERS, 2.5L I-VCT ENGINE, 6-SPD AUTO TRANS,235/55R17 LRR A/S BSW TIRESBACK-UP CAMERA, BLUETOOTH, MP3 Player, KEYLESS ENTRY, 29 MPG Highway, . All prices after rebates. Some rebates require Ford Credit financing. Residency restrictions apply. Not all customers will qualify for Ford Credit financing. Prices subject to change. Please verify current price with the dealer. Price does not include tax, $199 Administration Fee or any other state or local fees. 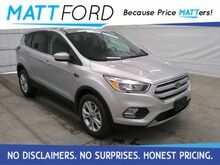 2.5L I-VCT ENGINE, 6-SPD AUTO TRANS W/SLCTSHFT,.235/55R17 LRR A/S BSW TIRES, 17'' SPARKLE SILVER PTD ALUM WHLS,FRONT LICENSE PLATE BRACKET, FLEX FUEL ETHANOLBACK-UP CAMERA, BLUETOOTH, MP3 Player, KEYLESS ENTRY, 29 MPG Highway, . All prices after rebates. Some rebates require Ford Credit financing. Residency restrictions apply. Not all customers will qualify for Ford Credit financing. Prices subject to change. Please verify current price with the dealer. Price does not include tax, $199 Administration Fee or any other state or local fees. 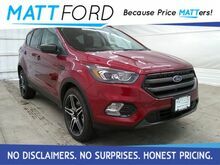 4WD REGIONAL EXTRA VALUE PKG, 17'' SPARKLE SLVER PTD ALUM WHLS,6-SPD AUTO TRANS W/SLCTSHFT, 1.5L ECOBOOST ENGINE, 235/55R17 A/S TIRESBACK-UP CAMERA, 4X4, LEATHER, HEATED FRONT SEATS, BLUETOOTH, REAR PARKING AID, MP3 Player, KEYLESS ENTRY, 28 MPG Highway, SAT RADIO, TURBOCHARGED, POWER LIFTGATE, ALLOY WHEELS. All prices after rebates. Some rebates require Ford Credit financing. Residency restrictions apply. Not all customers will qualify for Ford Credit financing. Prices subject to change. Please verify current price with the dealer. Price does not include tax, $199 Administration Fee or any other state or local fees. 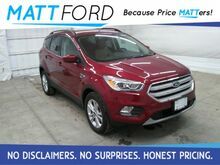 BACK-UP CAMERA, 4X4, LEATHER, HEATED FRONT SEATS, HEATED STEERING WHEEL, NAVIGATION, BLUETOOTH, MP3 Player, BLIND SPOT MONITORING, KEYLESS ENTRY, 27 MPG Highway, HID HEADLIGHTS, SAT RADIO, TURBOCHARGED, POWER LIFTGATE, ALLOY WHEELS. All prices after rebates. Some rebates require Ford Credit financing. Residency restrictions apply. Not all customers will qualify for Ford Credit financing. Prices subject to change. Please verify current price with the dealer. Price does not include tax, $199 Administration Fee or any other state or local fees. 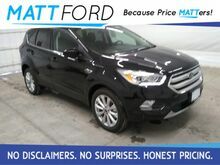 BACK-UP CAMERA, HEATED FRONT SEATS, BLUETOOTH, MP3 Player, KEYLESS ENTRY, 30 MPG Highway, SAT RADIO, TURBOCHARGED, ALLOY WHEELS. All prices after rebates. Some rebates require Ford Credit financing. Residency restrictions apply. Not all customers will qualify for Ford Credit financing. Prices subject to change. Please verify current price with the dealer. Price does not include tax, $199 Administration Fee or any other state or local fees.